The idiom goes "I'll sleep when I'm dead," but tweak the phrase to "I'll sleep after I watch one more episode of SVU and open and close Facebook three times and, uh-oh, SVU ended on a cliffhanger so I guess I'll watch one more and — oh, gosh — is it 2am already?" and it becomes a whole lot more relatable. It's called "bedtime procrastination" and, for some of us, it's all too real. 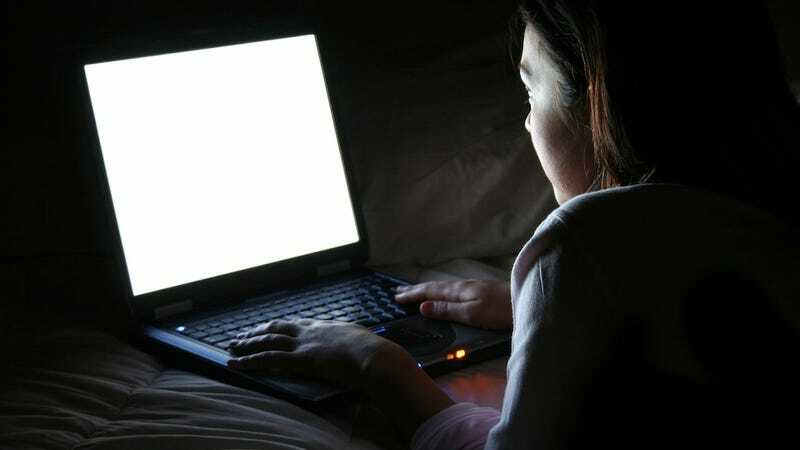 self-reported bedtime procrastination was related to general reports of insufficient sleep above and beyond demographics and self-regulation. Sounds about right to me, but then again, I'm freaking exhausted so who knows if I'm reading anything right. I think it's most important to realize how crappy you feel and how much your work suffers after an OITNB nighttime binge. … A simple fix is to keep a schedule for yourself and stick to it. If you can't fit in all of your fun daytime activities in before your scheduled bedtime, then take comfort in knowing you'll be alert and well-rested the next day to experience them. Seems like everyone's talking sleep lately. New York magazine (which also runs Science of Us) just published a fascinating infographic that charts the sleep habits of some of the Western world's most prolific geniuses — Flannery O'Connor slept from 9pm to 6am every night, Charles Darwin slept from 12-7am and then napped from 3-4pm, F. Scott Fitzgerald (who you probably don't want to emulate when it comes to health habits) slept from 3-11am and Honoré de Balzac slept from 6pm-1am, then napped from 8-9:30am. At UC San Francisco, a husband-wife research team is currently studying genetics to discover what makes a person an early bird or a night owl and what makes some people require more sleep than others. Regardless of results, one thing is for sure: Everyone is tired all the time.